Do you live in a poor city? Here are some of the poorest in the U.S. There are places all across the country where people are struggling. We have pinpointed some of the poorest cities in the United States (and some of the wealthiest). In this study, GOBankingRates defined the “poorest” cities as those with low median home values and median incomes. To find the poorest city in each state, we used data from Zillow to locate the cities in every state with the lowest home values. Then, we examined the household median income by city using data from Sperling’s Best Places. Whichever city had the lowest household income was deemed the poorest city in that state. South Dakota and Maine were excluded from this list due to a lack of sufficient data. However, the other 48 states are included — click through to find out which poor city is the poorest in your state. One in three residents of the tiny town of Brighton live below the poverty line, and fewer than 3,000 people call the town home, according to the Census Bureau estimates. Unsurprisingly, the city has a difficult time funding the police and fire departments or paying public employees, reported NBC News in late 2016. Luckily, Alabama has a lower-than-average cost of living when compared to America’s overall cost of living. In particular, Brighton’s cost of living is about 30 percent lower than the U.S. average, according to Sperling’s. In Ketchikan, nearly 17 percent of individuals live below the poverty level, according to Census Bureau estimates. The former timber town was rocked by the collapse of the logging industry and has recently shifted its economic focus to tourism, reports NPR. In fact, the city is expecting 1 million visiting during the summer months. Although Ketchikan is considered a poor city in this study, that doesn’t mean it’s an especially cheap place to live. In fact, Ketchikan’s cost of living is 20 percent higher than the U.S. average, according to Sperling’s. Instead of living in Ketchikan, residents might want to consider living in Fairbanks — it’s one of the best cities where your paycheck goes the furthest, a separate GOBankingRates study found. In Malvern, 32 percent of the population works in the material moving, production and transportation sectors, according to Sperling’s. Although 27.4 percent of the population lives below the poverty line, according to Census Bureau data, its recent job growth is more than double the rate of the U.S. average. About one-third of Mojave’s population lives below the poverty level, according to Census Bureau data. The town, which is located in the Bakersfield region, is currently suffering negative recent job growth, according to Sperling’s. And more than 20 percent of the population earns less than $15,000 a year. Residents might want to consider relocating to California’s best cities to score a high-paying job. The sales, office and administrative support industry dominates Rocky Ford, with nearly 20 percent of the population employed in that sector, according to Sperling’s. However, nearly 26 percent of the population lives on less than $15,000 a year, which is more than twice the national average. Additionally, a quarter of the population lives below the poverty line, according to the Census Bureau. Hartford is considered a poor city for good reason. About 33 percent of the population lives below the poverty line, according to Census data. Its recent job growth rate lags behind the national rate, and its future job growth rate is expected to lag as well, according to Sperling’s data. Although Hartford’s cost of living is lower than the country’s average, Connecticut’s overall high cost of living makes it one of the worst states for families to live a richer life, found a separate GOBankingRates study. Nearly a quarter of Wilmington residents live below the poverty line, according to the Census Bureau. And more than 20 percent of the population earns less than $15,000 a year, according to Sperling’s. But on the positive side, both recent and future job growth are outpacing the national average. Hill ‘n Dale has a population fewer than 2,000, and a staggering 63.8 percent of its residents are below the poverty level, according to Census data. That’s the highest percentage out all of the cities on this list. However, Hill ‘n Dale’s job growth rate is on par with the national average, and the cost of living is lower than the U.S. average, according to Sperling’s data. Its relatively low cost of living might be attractive to retirees looking to downsize, but it might be wise to explore other cities in Florida — which is one of the best states to retire rich, found a separate GOBankingRates study. Nearly one in four people in Midville earn less than $15,000 a year, according to Sperling’s. And roughly 17 percent of individuals live below the poverty line, according to the Census. Like many of the poorest cities in the U.S., the cost of living in Midville is cheaper than the U.S. average. Sperling’s list the median household income in Midville at $22,250, while the Census has it pegged at $37,500. Hawaii is notoriously known as one of the most expensive states to live in the U.S. — and the city of Mountain View is no exception. According to Sperling’s data, the cost of living is about 30 percent higher than the U.S. average. Still, Mountain View made our list and is considered a poor city. More than one-third of the Mountain View population lives below the poverty line, according to the Census Bureau. The Census also lists the median household income higher than Sperling’s data at $48,317. The percentage of people living on less than $15,000 in Hansen is about equal to that of the rest of the state and the United States in general, according to Sperling’s. And, about 20 percent of individuals are living below the poverty line, according to Census data. Nearly 40 percent of people live below the poverty line in Cahokia, according to Census data. There was a time when Cahokia’s median home value was hovering around $65,000. But that was back in 2007, and since then home values have been on a downward spiral, according to Zillow data. The good news: Home values are expected to increase within the next year — but only by 0.9 percent. Gary was once a thriving steel town. But after the collapse of industry, it became a national symbol of urban decay. Low home values and incomes now make it a poor city. More than 30 percent of the population earns less than $15,000 a year, according to Sperling’s. And, roughly 37 percent of individuals live below poverty levels, according to Census data. In Hazleton, nearly 20 percent of individuals live below the poverty level, according to Census data. 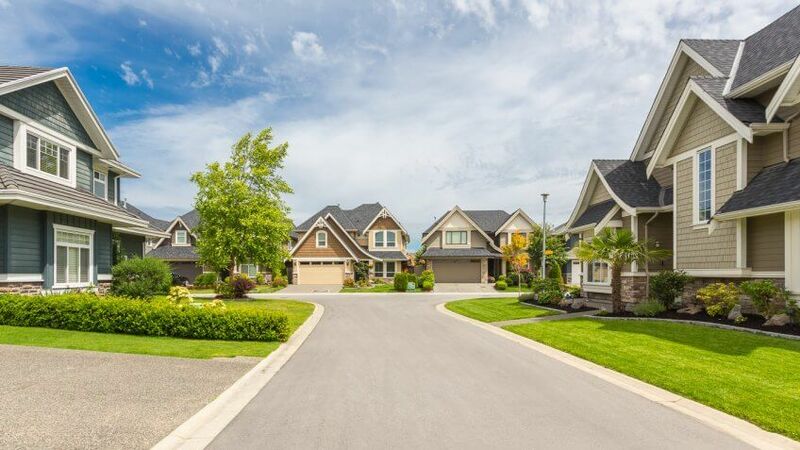 Although home values haven’t reached six figures in recent years, Hazelton has seen a large increase in values over the past year. In fact, home values have increased by nearly 22 percent, according to Zillow. If values continue to rise, perhaps Hazelton will eventually join the list of cities experiencing skyrocketing home prices. The cost of living in Oaklawn-Sunview is more than 24 percent lower than the national average, according to Sperling’s data. Since incomes are so low, this is good news for residents. However, about 32 percent of individuals live below the poverty line, according to Census data. Roughly 1,700 people call Pineville home. But, nearly 47 percent of individuals live below poverty level, according to Census data, and Sperling’s data shows that more than 43 percent live on less than $15,000 a year. With a lower-than-average cost of living, Pineville is relatively affordable — especially when it comes to housing. Vivian’s cost of living is 23.5 percent lower than the national average, according to Sperling’s, and more than one-third of the population lives on less than $15,000 a year. Meanwhile, about 28 percent live below the poverty level, according to the Census Bureau. Although the median home value in Vivian is less than $76,000, Zillow predicts it will increase by nearly 8 percent within the next year. To say that Barton is a small town could be an understatement. It has a population of just 457 people, according to the Census Bureau. And it’s not exactly super-safe. Both property and violent crime rates are significantly higher in Barton than in the rest of Maryland, according to Sperling’s. More than one-quarter of Springfield’s population lives on less than $15,000 a year, according to Sperling’s. And, 30 percent live below the poverty line, according to the Census Bureau. Home values in Springfield have been an on an upward climb, however. Zillow notes that right now it’s a hot market for home sellers. Future residents, however, might not appreciate the fact that the cost of living is slightly higher than the U.S. average. Detroit might be America’s biggest poor city with a population of roughly 714,000. The city suffered a five-fold increase in the number of neighborhoods classified as “extremely poor” between 2000 and 2014, reports the Detroit Free Press. Forty percent of individuals live below the poverty level, according to Census data. When it comes to cost of living, Detroit is more affordable than the U.S. as a whole. However, you still need to earn more than the median income in Detroit — the city requires an income of at least $42,161 to live comfortably, found a GOBankingRates study. The poorest city in Minnesota is Virginia. Nearly 25 percent of the city’s population lives on less than $15,000 a year, according to Sperling’s. Like many of the poorest cities in the U.S., crime is higher in Virginia than in the rest of the country — most noticeably property crimes. More than a fifth of Leland’s population live on less than $15,000 a year, which is actually lower than the surrounding metro region, according to Sperling’s. Meanwhile, one-third of the population lives below the poverty level, according to Census data. And, perhaps unsurprisingly, Mississippi is one of the states where the poor are getting poorer. Once a thriving community of more than 10,000, Kinloch is in danger of becoming a ghost town, reports Vice. Today, fewer than 300 people remain — and nearly 60 percent live below the poverty level, according to the Census Bureau. Additionally, half of the population lives on less than $15,000 a year, according to Sperling’s. With a median age of 53.3, older residents live in Thompson Falls. But, it might not be one of the cheapest places to retire since the cost of living is only slightly less than the U.S. average, according to Sperling’s. About 20 percent of the city’s total population lives below the poverty line, according to the Census. Although home values have been lackluster in the past, they jumped nearly 30 percent over the past year, according to Zillow. Falls City, which is home to 4,325 people, has seen recent positive job growth, according to Sperling’s. And the cost of living is 18.1 percent lower than the national average. However, more than a quarter of individuals live below poverty levels, according to the Census. Recently, Silver Springs suffered a 5 percent decline in its job growth rate. Homeowners had to endure even more bad news. Property values have depreciated nearly 28 percent in the last 10 years. And, nearly 12 percent of the population earns less than $15,000 a year, according to Sperling’s. Only about 10,000 people live in Berlin, and a fifth are below the poverty line, according to the Census Bureau. More than 20 percent of residents live on less than $15,000 a year, according to Sperling’s. Crime — especially violent crime — is actually quite low compared to both the statewide and national averages. The city is home to about 77,000 residents, and 40 percent live below the poverty level, according to the Census. Nearly one in three residents earn less than $15,000 a year, according to Sperling’s. Residents looking to boost their bank accounts might benefit from these smart strategies to double your income. There are just 1,112 people living in the desert town of Mesquite, according to Census Bureau data. And, exactly one-quarter of individuals live below the poverty line. According to Sperling’s, more than 40 percent of those people live on less than $15,000 a year. Nearly 26 percent of the population lives below the poverty line in Hornell, a small town in western New York, according to the Census Bureau. Job growth has declined in recent months, according to Sperling’s. But, future job growth is expect to grow nearly 35 percent over the next 10 years. Just 744 people call Whitakers home, and roughly 27 percent of individuals live below the poverty level, according to Census data. One in five residents earn less than $15,000 a year, according to Sperling’s, and another 15 percent earn between $15,000 and $25,000. With a population just shy of 1,100, the city doesn’t have an alarming percentage of people below the poverty level — only 10 percent, according to Census data. However, recent job growth is slow, at just 0.20 percent versus the U.S. average of 1.59 percent. Nearly 30 percent of people living in Drexel earn less than $15,000 a year. Unfortunately for homeowners, home values have depreciated more than 18 percent in the last decade alone, according to Sperling’s. Residents looking to move out of the area should look for ways to boost their home values when it comes time to sell. About 2,000 people live in Waurika, according to the Census. More than 26 percent of residents live below the poverty line, and more than one in four residents live on less than $15,000 a year, according to Sperling’s. In Burns, about a fifth of the population lives below the poverty level, according to Census data. But, less than 10 percent earn under $15,000 a year, according to Sperling’s. And there’s good news for homeowners: Home values have increased nearly 18 percent over the last year, according to Zillow. Approximately 5,000 people live in this borough, according to the Census. In Shenandoah, about 24 percent live on less than $15,000 a year, according to Sperling’s. But, nearly 33 percent live below the poverty line. More than 21 percent of Central Falls residents earn less than $15,000 a year, according to Sperling’s. And, one-third live below the poverty level, according to the Census. Although Central Falls is considered a poor city, its cost of living is actually higher than the U.S. average, according to Sperling’s. Although Sperling’s lists the median household income in Norway at $22,083, the Census Bureau lists it at $32,500. The town is home to just 337 people, with more than 25 percent living below the poverty level. According to Sperling’s, about 31 percent earn less than $15,000 a year. About 700 people live in Hollow Rock. More than 21 percent of the town’s residents live on less than $15,000 a year, according to Sperling’s. And, Census Bureau data shows that nearly 28 percent are below the poverty line. Furthermore, recent job growth statistics are discouraging — Sperling’s data shows job availability fell about 1 percent. Encantada-Ranchito El Calaboz has witnessed a population boom of nearly 80 percent since 1990, with more than 2,000 residents now calling the city home, according to Sperling’s. However, 38 percent of people live on less than $15,000 a year, and Census data shows that nearly 50 percent live below the poverty level. In Ogden, 15.4 percent of the city’s residents live on less than $15,000 a year, according to Sperling’s. However, recent job growth has outpaced the national average, and Sperling’s projects a future job growth rate of nearly 41 percent over the next 10 years. About 2,300 live in this Vermont town, according to Census data, and about 17 percent live below the poverty line. The Town of Richford’s cost of living is cheaper than the U.S. average, according to Sperling’s. Unlike many of the poorest cities in the U.S., Clover has recently witnessed an increase in population. Since 1990, the town has grown by nearly 144 percent, according to Sperling’s. However, the population is still low. According to the most recent figures from the Census Bureau, the town is home to 438 people and more than 16 percent are below the poverty level. More than 28 percent of individuals in Hoquiam live in poverty, according to the Census Bureau. Although home values and prices are low (the median list price is only $99,900), Zillow data shows that values have gone up nearly 17 percent over the past year. Although Sperling’s most recent data lists the median household income at around $35,000, Census Bureau data shows the median household income at more than $40,000. With a population of around 1,500, approximately 16 percent of individuals live below the property line. In Two Rivers, less than 11 percent of the population lives in poverty, according to the Census Bureau. In the past year, home values have increased more than 15 percent, according to Zillow. And, the cost of living is lower than the U.S. average. The cost of living is more than 15 percent less than in the national average, according to Sperling’s. And, more than 11 percent of the city lives on less than $15,000 a year. Methodology: To find the poorest city in the U.S., GOBankingRates used March 2017 ZHVI data from Zillow to first identify the cities with the lowest home values. We then found the median household incomes for each city using Sperling’s Best Places, which states on its site it last updated this data in December 2016. (Please note: Sperling’s median household incomes might differ from the Census Bureau’s estimates, which are typically sourced from its 2011-2015 American Community Survey 5-Year Estimates data.) The cities with the lowest median household incomes were deemed the poorest city in their respective states. States excluded from the study include Maine and South Dakota due to insufficient and/or unavailable data. Find out what the hourly wages are for workers around the world.